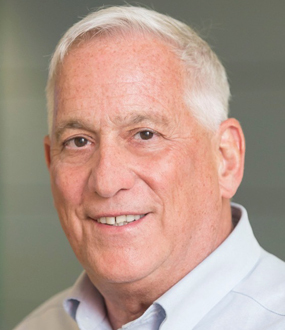 With over three decades of dominion cogitating (aka management consulting), Bill Capodagli (pronounced Cap o die) has opined with many of the largest corporate kingdoms in the world as well as some of the smallest local serfdoms. Bill’s renowned storytelling talent was acknowledged when his first book (co-authored with Lynn Jackson), The Disney Way: Harnessing the Management Secrets of Disney in Your Company, was recognized by Fortune Magazine as a “Best Business Book.” Bill also coauthored the enormously popular The Disney Way Fieldbook: How to Implement Walt Disney’s Vision of “Dream, Believe, Dare, Do” in Your Company and Leading at the Speed of Change. 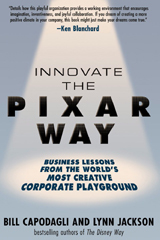 Bill’s playground wizardry is authenticated in his latest collaboration — Innovate the Pixar Way – Business Lessons from the World’s Most Creative Corporate Playground. 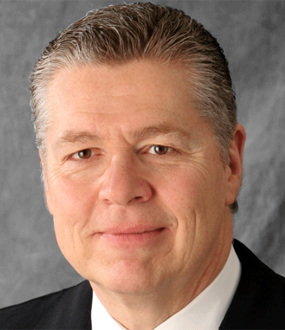 Prior to co-founding his own playground, Capodagli Jackson Consulting, Bill held managerial positions at the consulting firms of AT Kearney and Ernst & Whinney (now Ernst and Young). 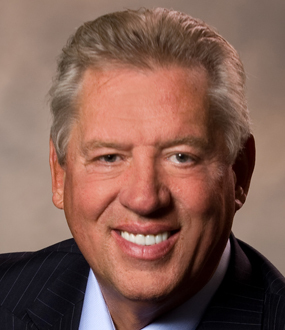 From 1991-1993, Bill helped the University of Southern Indiana launch their business consulting initiative and began teaching the The Disney Way principles to an international client base. During the past decade, Bill Capodagli has become one of the most recognizable storytellers (aka keynote speakers) on the cultures of Disney and Pixar, enlightening audiences with Walt Disney’s original success formula, “Dream, Believe, Dare, Do”, that is transforming both entrepreneurial and Fortune 500 companies alike. Bill Capodagli - "Dreams and Dreamers: How to Innovate Like Walt Disney and the Pixarians"
Management wizard and the world’s foremost Disney expert, Bill Capodagli teaches companies, educational establishments, and hospitals how they can utilize the same principles that have guided the Disney organization for 90 years. Disney’s unfaltering record of transforming the impossible into magical moments and cultural icons offers lessons in how any organization can be reinvented in terms of leadership, customer service, collaboration, and creativity. Bill will fascinate you with his unique behind-the-scenes knowledge of what is perhaps the world’s most well-known and influential company. His storytelling and lessons will leave you dreaming and daring to make a difference. Walt Disney’s management lessons are as relevant today as they were four decades ago at the time of his death. And his spirit, the culture he established, and the values he lived by still guide the Disney organization. In this highly acclaimed presentation, Bill Capodagli describes the 6 reasons why Disney is a relevant role model for today’s business leaders. Bill shares lessons from The Walt Disney Company and other highly successful companies such as Four Seasons Hotels and Resorts, Men’s Warehouse, and Ernst & Young. Key Learning: Discover your story and communicate it! Dare . . . to make a difference! Walt Disney was once asked what the secret to his success was and he replied, I dream things and ways of doing business that have never been done before; I test those dreams against my personal believes and the values of the organization; I dare to take the risks to make my dreams a reality; and I put plans together so those dreams do become a reality. Dream, Believe, Dare, Do are the principles that have guided the Disney organization for over 80 years. Walt Disney’s leadership not only created an organization that has stood the test of time, but it created an international icon. Can we even imagine a world without Mickey Mouse, Minnie Mouse or Goofy? Walt left us over 40 years ago, but his leadership lessons are as relevant now as they were back then. Bill Capodagli will not only explain the critical elements in Walt’s definition of leadership, but also provide extraordinary leadership examples from the featured companies in The Disney Way. Bill will also recommend an action plan to improve anyone’s leadership skills. Walt Disney’s Definition of Leadership: the ability to establish and manage a creative climate where people and teams are self-motivated to the successful achievement of long-term goals in an environment of mutual respect and trust. Walt Disney once said. “You don’t build the product for yourself. You need to know what people want and build it for them.” Bill provides a solid roadmap required to become a customer-centric organization. In this presentation, Bill Capodagli introduces Storyboarding, a tool that Walt Disney created in the 1930s and continued to use in all of his creative projects for the remainder of his life. Storyboarding is a structured exercise that quickly captures the thoughts and creative ideas from a group of participants. These thoughts and ideas are recorded on cards and then displayed on a board or a wall. The result is what Bill calls an “idea landscape.” Storyboarding is an ideal tool for generating solutions to problems and enhancing communications. Bill teaches audiences how storyboards can be adapted to a variety of problem-solving situations in which the introduction of the visual element makes interconnections of ideas, creative thoughts and activities readily apparent. Bill will present how Disney creates an environment that is conducive to creativity and innovation. Bill also explains how to apply the “nine-step” process to move a “blue sky” dream to a unique guest experience. Dream – Walt Disney made a practice of envisioning the untried and impossible. School systems need to create a vision that motivates teachers, students and parents to succeed in a true learning environment. Believe – Walt understood that success comes from an entire team sharing a unique set of values. Creating an organization where teachers, staff and students are motivated to achieve long-term goals in an environment of mutual respect and trust is paramount to reinventing the learning experience. Dare – Walt did not follow in the footsteps of others, sit on the sidelines, or take the safe and unimaginative approach to providing “magical moments” for his guests. School systems must dare to make a difference by breaking out of the traditional “teacher-centered” classroom teaching and embrace “student-centric” learning experiences where the teacher serves as a facilitator. Success in today’s health care industry comes from inspired leadership and focusing on the holistic patient experience. There are great lessons to be learned from Walt Disney who believed in creating a “magical” experience for guests. . . the same paradigm that is alive and well in the best of the best health care environments today. Walt Disney was once asked what made him so successful. 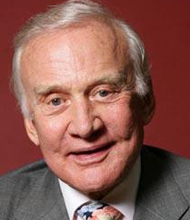 He said that he would often Dream of new techniques that had not been attempted in the past; Believe in the power of his own values; Dare to take risks; and then just Do something to accomplish the dream. In this presentation, Bill Capodagli translates the Dream, Believe, Dare, Do model for the health care setting. 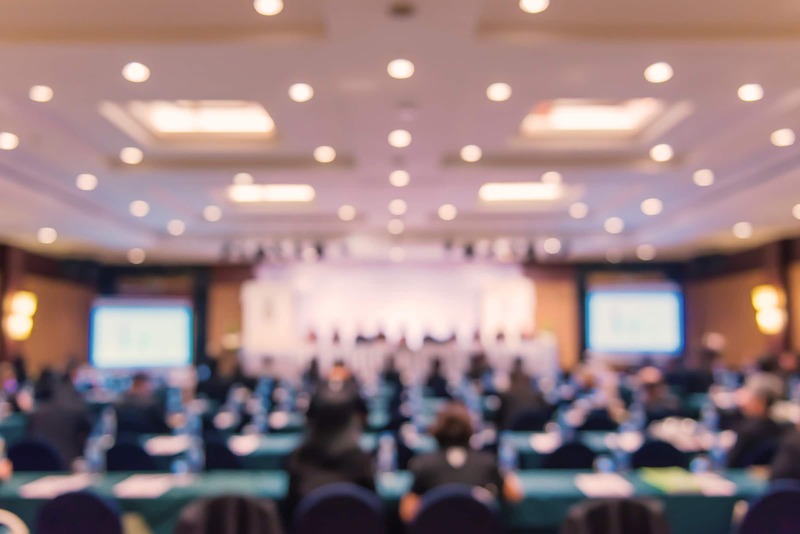 He provides a variety of examples, most notably Griffin Hospital in Derby, Connecticut, owner of the famed Planetree approach to hospital management. Bill also recounts the inside story of how the Disney leadership and service standards were achieved – not by sudden flashes of creative insight, but by a much considered and carefully wrought system for constantly raising the bar of excellence. 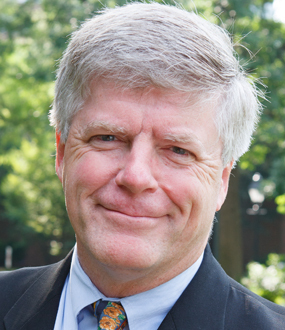 Bill provides solid techniques for adapting The Disney Way model to the health care environment. Pixar is the benchmark of innovative success. With numerous Academy Awards under their belts, they keep breaking the mold on creativity and taking it to the next level. From Toy Story to Up, Pixar never settles for what they’ve done but continues to look forward to the future. Bill takes you on a tour of the most innovative, creative organization in the world. You’ll learn how to look at the world through a child’s eyes (and why it’s important). You’ll learn how to believe in your team … how to jump in and try something different … how to create your own corporate playground … and more. Dream Like a Child -- Where did the creativity go? Kimberly Weir, Conference Director, Management Roundtable, Inc.
Pixar was built upon the “magic’ of Walt Disney. Pixar’s Ed Catmull and John Lasseter have long admired the genius of Walt Disney. Ed’s childhood heroes were Walt Disney and Albert Einstein. In the 9th grade, John Lasseter discovered a library copy of The Art of Animation written by Disney biographer, Bob Thomas, and later decided to become an animator. It is no accident that Ed and John modeled Pixar in Walt’s image. One of their great discoveries was a 1930s memo written by Walt Disney himself, revealing the secrets of how to build a creative and successful company. Inspired by Walt’s words, Ed and John have put a stake in the ground by saying: “this is the kind of company we want to build.” The Pixar organization honors the legacy of Walt Disney by fulfilling the promise of bringing the “story” to life… refusing to take shortcuts (in comparison to the crippling short-term mentality that has become a cancer in American business culture today), and never compromising the integrity and quality of its work. It’s all about living their “story” every day, continuously moving forward and championing excellence at all levels. The Pixar Way will help readers discover their own roadmaps for unleashing a creative organization. Walt Disney’s dreams, beliefs, and daring gave birth to captivating characters, thrilling theme park attractions, and breathtaking tales that have inspired the imaginations of generations of children and adults. Disney also launched an entertainment and marketing empire whose influence is felt around the world, and whose success provides a model of business excellence that can guide any company. Each principle is then examined in detail by illustrating the principle at work at Disney as well as at other successful companies. Capodagli and Jackson have spent their careers studying Disney and teaching this unique management method to others. As consultants to companies ranging from Illinois Power to Bristol-Myers Squibb and Whirlpool, they have used the Disney principles again and again, and have seen them yield startling performance improvements. They have distilled this wisdom in THE DISNEY WAY. 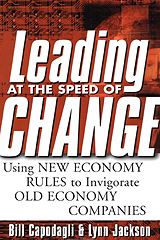 In this book, you’ll learn how to: Give every member of your organization the chance to dream, and tap into the creativity those dreams embody; Treat your customers like guests; Build long-term relationships with key suppliers and partners; Dare to take calculated risks in order to bring innovative ideas to fruition; Align long-term vision with short-term execution. And more. No fairy dust. No magic wands. No wishing on a star. Just sound, effective management principles that stem from Walt Disney’s values, vision, and philosophy. Lists of questions to ask and actions to take, along with real-life examples, will help you adapt the Disney Way to suit your company’s needs. From the hiring and training of employees to the realization of a creative concept to exceptional customer service, every aspect of the Walt Disney Company is linked to Walt Disney’s vision. Business people around the world raved about The Disney Way and Fortune proclaimed it, “so useful you may whistle while you work.” Now, authors Bill Capodagli and Lynn Jackson are back to deliver a comprehensive, step-by-step implementation plan based on Walt Disney’s principles outlined in the best-selling The Disney Way. 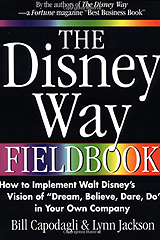 The Disney Way Fieldbook provides action plans for instilling Disney’s vision into any company, complete with diagnostic exercises, practice sessions, proven advice, and insightful questionnaires. Packed with universally applicable tools and techniques, the book also features inspiring quotes from Walt Disney himself and little known facts about his extraordinary empire. The success of Business Services is crucial to the overall strategy of AT&T. CEO Michael Armstrong is relying on Rocsitt and his team to do for Business Services what he did for AT&T Solutions (providing outsourcing, consulting, networking integration and multimedia call center services). That is, they want Rocsitt to infuse the division with entrepreneurial spirit, to bring that “adrenaline rush” of the DotCom world back into this global giant. A close look at what Rick did at the AT&T Solutions Division offers lessons for managers and executives on how to manage at “DotCom Speed” and defeat the competition. The success of so many companies depends on it. 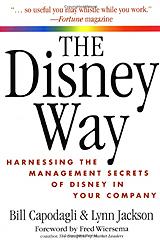 Bill Capodagli and Lynn Jackson are the authors of The Disney Way, named by Fortune as one of the year’s “Best Business Books.” Their forte is analyzing the management style of comparies, and identifying exactly what makes the companies tick—what makes them succeed (or what is causing them to underperform). They have been fascinated by the success of AT&T Solutions, and have discovered that Rick Rocsitt’s accomplishments can be clearly explained through the paradigm they coined, Dream, Believe, Dare, Do. In this book, they take a close look at AT&T Solutions—and interview key players at AT&T including CEO Michael Armstrong—to explain exactly how AT&T Solutions grew at such a phenomenal rate (in less than five years AT&T Solutions grew from a dream in the mind of Rick Roscitt to a five billion dollar corporation). The goal is to present a blueprint that managers and executives in any company can use to implement a winning strategy that produces amazing results.